I believe the distinction between mild rebelliousness and disrespect has to be drawn very clearly. But, as a parent, how do you know for sure if your child’s behavior has crossed the line and become truly disrespectful? And what should you do when they cross the line? I believe that when kids engage in mildly rebellious expressions of frustration, it’s a sign that you clearly have the authority. Make no mistake, there is a distinction between eye-rolling and your child shouting, “You’re stupid” or something even worse. I think parents need to really understand this difference at a core level. I’d usually reply, “Well, the question is, did she ever tell you to f-off in the past? If she didn’t, don’t worry about it. And if she does in the future, hold her accountable.” It’s as simple as that. By the way, I understand that parents are often afraid things are going to get more difficult with their adolescents. If you’re parenting a teen or pre-teen, you probably fear that things will get worse. As we all know, kids in that age group can be very moody and stubborn. It’s such a delicate balance parenting during adolescence. 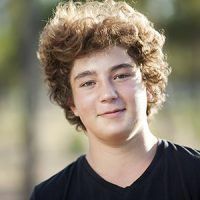 So, it’s important to allow for the natural “breaking away” process that comes during the teen years. But it’s also important to identify and challenge any truly disrespectful child behavior that is hurtful, rude, or demeaning to others. 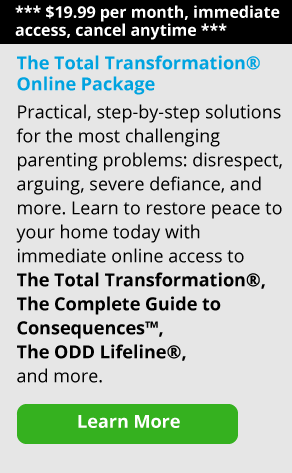 Respect, disrespect, and compliance are often issues that become entangled between parents and kids. Here’s how I see it. Parents have a right to expect compliance from all the children who are living in their house—even if that child is 22 years old. Often, friction is caused by an adolescent’s legitimate need to become more independent as he develops. This is precisely where parents and teens come into conflict: the parent wants compliance and the adolescent wants independence. Now let’s take it one step further. When the adolescent doesn’t comply, the parent feels disrespected. And then parents make the mistake of personalizing that feeling. I think that teens have to learn to solve the problem of compliance in healthy ways. But parents also need to understand that many times, their child’s small acts of rebelliousness come from the fact that they want to be independent. In other words, their rebellion has nothing to do with disrespect. This consequence is fair and the response is fair. But, if the parent then says, “You have no right to disrespect me that way,” the parent is on the wrong track because they have personalized the situation. One of the biggest mistakes parents can make is to take their child’s behavior personally. The truth is, the teenager next door is doing the same thing to his parents, and your cousin’s daughter is doing the same thing to her parents. It’s just what teenagers do. Your role is to just deal with your child’s behavior as objectively as possible. When parents don’t have effective ways to deal with these kinds of things, they may feel out of control and get scared. They often overreact or underreact to the situation. When they overreact, they become too rigid. And when they underreact, they ignore the behavior or tell themselves it’s “just a phase.” Either way, it doesn’t help your child learn to manage his thoughts or emotions more effectively and it doesn’t help your child to be more respectful. Generally, I recommend that parents ignore the mildly disrespectful things that their kids do. We’ve talked about eye rolling and stomping up the stairs. But I would also include things like muttering about how life isn’t fair, sighing dramatically, or even slamming their bedroom door on occasion. I personally think that kids need to be able to express their frustration about living within a family and following its rules. So I advise parents to tolerate that type of behavior. After all, your adolescent needs to learn how to have feelings and opinions of his own, and he has to have a safe place in which he can express his frustration. And sometimes you’ll see him do this in very immature ways. By the way, there were parents with whom I’ve worked who didn’t have the tolerance to allow that kind of behavior. They felt that it was a threat to their authority, and they ended up challenging it at every turn. But I believe that if your teenager is otherwise managing his life—getting good enough grades, being a good enough kid, not doing criminal or anti-social things, not doing high-risk things—that type of behavior isn’t a threat to the parents’ authority at all. Rather, I believe that when kids engage in mildly rebellious expressions of frustration, it’s a sign that you clearly have the authority. Think of it this way: it’s not a challenge to your authority, it’s an expression of frustration about your authority. That means the ball is in your court. There’s no reason to throw it to your child and give power to their annoying—but harmless—behavior. Ensure that your child understands the relationship between these three important ideas. Note that the parent here took her son’s phone away for a relatively short period of time—four hours. I believe that’s better than taking it for a day or two because now, the parent has the child working to get it back. The teen has to focus on the new behavior of being respectful. Or at least not being rude and disrespectful in order to earn back his cell phone. In doing this, you’re creating a pathway for better behavior, and you’re working toward a culture of accountability and respect in your home. Respect begins at home. If you want your children to be respectful, you have to be respectful, too. Let’s make no bones about that. If you call your kids names, if you yell at others in a condescending way, if you make derogatory remarks to your spouse, don’t be surprised if your child behaves the same way. You’re modeling that behavior for him. Parents who tell their children, “Don’t do as I do, do as I say,” are just creating the kind of double standard that breeds negativity and resentment. Let’s face it, if you’re doing something yourself, it gets very complicated when you ask your child to stop. Believe me, kids know hypocrisy when they see it. An ineffective parent is a person who expects their kids to do things that they’re not willing to do themselves. You have to live your values. If you value respect, then you’ve got to behave respectfully.